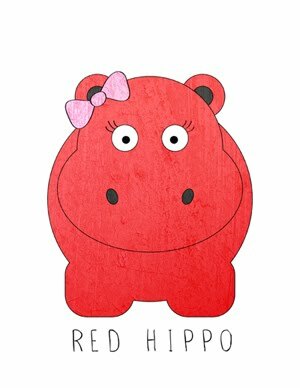 Red Hippo: do you meditate? i have never been very good at sitting still (unless you count online browsing on nordstrom.com). but lately, life has felt really chaotic. sometimes the chaos makes me feel really out of control (pulling hair out of my head kind-a out of control) and sometimes it makes me feel full of joy (wow, my life is so full and blessed). no matter which state of being i'm in (out of control chaos or full of joy chaos), it's still chaos. i've been feeling the need to take time out of my day to just 'be.' i find that unless i am totally intentional about relaxing my mind, it really doesn't ever shut off. i am constantly in a state of 'doing' and want to be better at just 'being.' i mean, I'M ALIVE! I'M HEALTHY!! these are things to be so grateful for- and instead of just letting time pass with the busyness of life- i want to savor some moments of my day. on days that i work- i always make some sort of time to stop during my day and do a guided meditation. i use the app CALM to help me really focus on whatever it is i need to focus on that day. CALM's guided meditation range from things like, 'motivation,' 'anxiety release' (yes, please! ), 'deep sleep,' and 'gratitude' (just to name a few). at night, usually right before the kids get home with tony, i try to get a session in. on days that i'm home with the kids all day, i do a guided meditation while they nap (if they happen to nap together). i'm just wondering, do you meditate? have you always done it? have you noticed a difference since you started??? And my will into God's hands. It develops my intuition and helps me to accept everything that comes to me as coming from God. It frees me so that I might let go of desire and attachment and accept what is. Bless you in your journey with meditation may it be fruitful.